I hope to also discuss sources from non-Chabad Chassidus that discuss the nature of the Tzaddik and the relationship with him. Here is the first; enjoy. Every single Tzaddik in every single generation corresponds to the level of Moshe, which is also the level of Shabbos. He is able to congregate, connect, and gather all those close to him (“ha’mekuravin”), who are like limbs to a body, and join them together in a way comparable to setting up the Mishkan. They then become a complete edifice (“komah sheleimah”) and a Mishkan and dwelling for the resting of holiness. 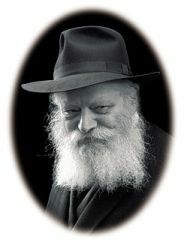 Rabbi Menachem Mendel Kasover, Ahavas Shalom, Pekudei, s.v. Eileh Pekudei. Summary: The Tzaddik and his followers are like one body. (Through their devotion to him and his instructions) theTzaddik refines them and unites them with one another such that they become like the edifice of the Mishkan, making them fit for the Shechinah to rest upon them (apparently based on the principle expressed in the verse, “They shall make for me a Mikdash, and I will dwell in their midst (Shemos 25:8)”). 1. If all those close to the Tzaddik are like limbs to a body, it appears to follow that the Tzaddik would be considered the head of these limbs. 2. This teaching fits nicely with the way that the role of the Tzaddik is explained in Toras Chassidus Chabad (especially Tanya chapter 2), in the sense that the Tzaddik is the memutza hamechaber, the “joining intermediary.” By cultivating the relationship with the Tzaddik (the “head”; clearly the analogy is that the limbs of the body must submit to the head) and with one’s fellow Chassidim (the other “limbs” in the “body,” which must all work in tandem) the Chassidim reach a full relationship with Hashem. 3. However, the difference is that for a Chabad Chossid, the emunah in the Tzaddik and devotion to him are (vital but) insufficient; the Chabad Chossid is only fit for the Rebbe to affect his Neshama in this way when he engages in regular Avodah Pnimis as well.